This article was last updated on June 1st 2018. 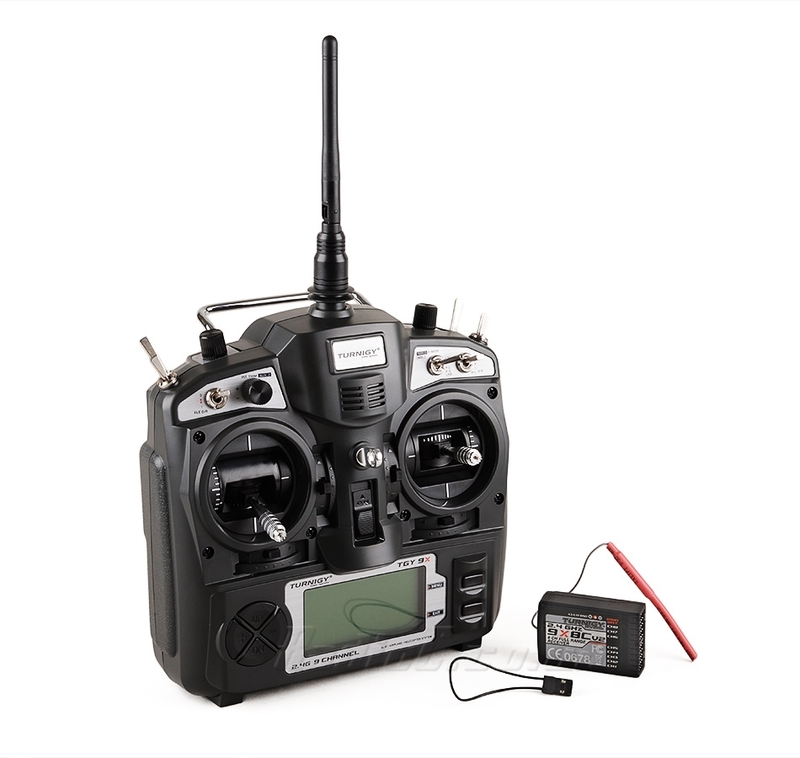 If you’re looking to create your very own quadcopter, then you will need to purchase a radio control transmitter. This page will be looking at the best radio control transmitters on the market and it should give you a better understanding of which one you should buy. It is important to note that transmitters only work with receivers. However, most of the time, when you buy a transmitter, you also get a receiver in the package too. This is because most receivers only work with their own transmitters. Bare this in mind before you make your purchase. FrSky is known to be a reliable brand who create high quality products. 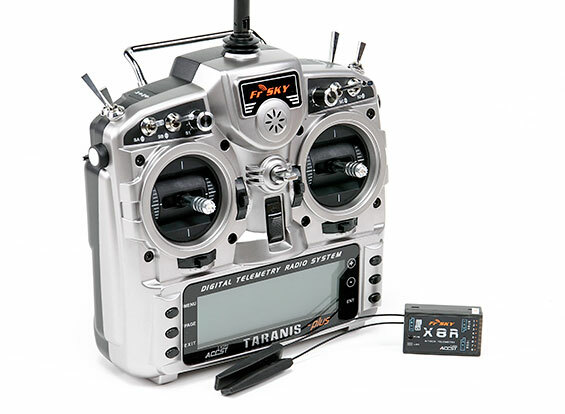 The FrSky Taranis has raised the bar with respect to RC transmitters. It uses the entire 2.4GHz band meaning that it has an incredible range. However, this is taken further in the Tarnis Plus whereby it has a large backlit LCD that gives you a constant stream of information with regards to how your drone is flying. Indeed, the controller has been designed around the OPEN TX software, whereby it has 8 programmable switches, two twist knobs and two easy to get to lateral slider pots. It also has a handy SD card slot which you can use to get unlimited memory. Also, it comes with full telemetry capability and RSSI signal. The three modes and receiver lock means that you won’t be crashing because you selected the wrong model. The FrSky Taranis X9D Plus is my favorite RC controller and you won’t be disappointed if you get it. However, I would only recommend this controller to those who have already had a bit of flying experience (intermediate to advanced) as it is an investment. Indeed, this transmitter has many incredible features that are only available on much more expensive models. The reason I like this controller so much is that it was designed alongside RC hobbyists – this means it was created by actual FPV pilots and thus contains all the needs that an FPV pilots need. The OpenTX system is Open Source and thus is always being updated by other community members. It has 3-way switches and runs 16 channels. Even the large LCD screen has navigation buttons which are really helpful. This is my favorite controller for the above reasons and therefore you should strongly consider buying it. This is a great little controller that I have used for many multi-copters. The Turnigy 9X looks great and has a fantastic range of around 1500 feet (500m.) It takes some time to setup as the menu is quite complex. However, when you get your head around it becomes really easy to use. It also has an inbuilt 2.4GHz antenna. Plus, this controller is only $60 meaning you get great value for your money. However, there are some downsides to the 9X. The antenna cable is soldered directly onto the circuit board and doesn’t use a removable connector. Thus to add a different 2.4GHz module (like a Frsky one) you are going to have to unsolder it. It also, has an 8-cell AA battery holder of which has a really tight fit meaning when you try to get the cover back on, the little tags can break off. But worst of all is the beep. Every time you press buttons you get a loud beep which makes the controller seem gimmicky. I ended up removing the beep by cutting the wire to the speaker and adding a 220 Ohm resistor. But you have to bear in mind that this is a cheap transmitter and thus I would recommend it to people. 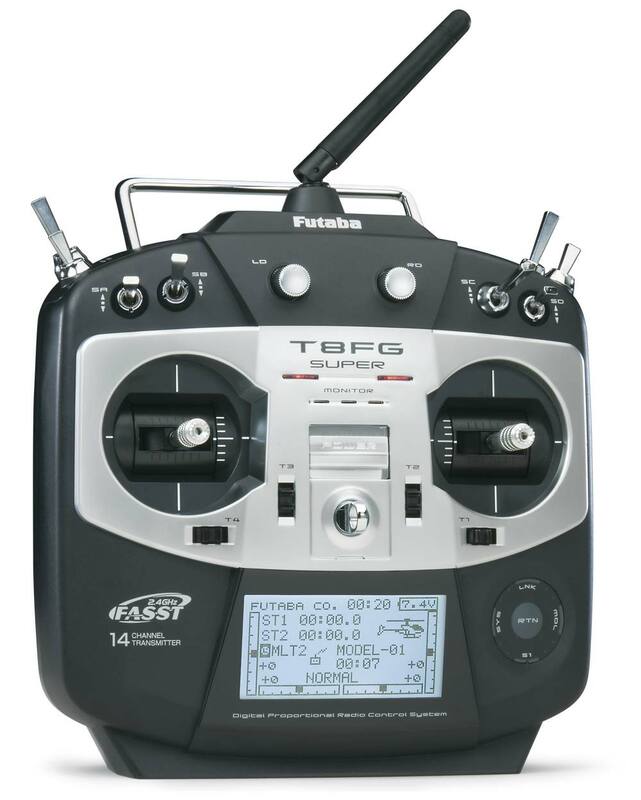 The Futaba T8FG Super is a 2.4GHz system that has 14 channels. It has a very nice design and with a decent grip. The quality of the switches and gimbals feel really great when in use. I really like the fact that the antenna can bend very close to the transmitter which makes the controller more compact and thus means it is more portable. You can increase its memory by using the SD card which is really helpful if you do lots of flying. However, this device isn’t telemetry yet and I found the neck strap really uncomfortable to use. It is also very expensive. The Spektrum DX6i has some key features. It has 6 channels, 10 model profiles, 6 two-way switches and uses DSMX technology. As I’m sure you know already, to control a quad, you need a minimum of four channels (throttle, yaw, pitch and roll.) The great thing about the DX6i is that it’s two extra channels allow you as the pilot to add extra switches (for example a switch to change between rate mode and horizon flight mode.) There are some things that I don’t like about this controller. It only has two-way switches which is not practical as you only have a “low position” and a “high position.” A three way switch would add a “middle position” which means one could have an extra value on the same channel. With that being said, the DX6i is very easy to configure. It’s selector interface is great for beginners as going through the menu is very quick meaning you can change your settings without connecting to a computer. However, the screen isn’t backlit which is strange. This is a good controller which is well made and feels good in the hands. The switches are smooth and the grip is great. However, it is missing some key features that other controllers have. For example, it doesn’t have telemetry, three-way switches, a bigger backlit LCD screen, audio speech output and more channels. Configuring DX6i is straight forward. It has a roller/selector user interface which is super handy, that makes navigating through the menu very quick and easy. LCD screen is one of the smallest amongst other Spektrum transmitters, but does the job just fine. The only downside of this display is the lack of LED back-light. It is a common feature now for many radio controller, for some strange reason it wasn’t included. 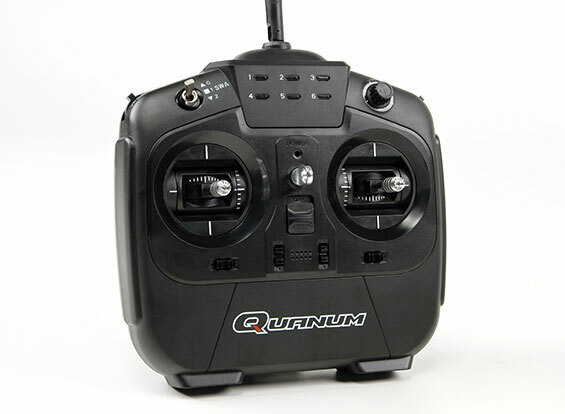 The Quanum i8 8ch RC transmitter is designed for multirotor users only. Lets take a look at some of its features. The Quanum i8 RC transmitter has 8 channels. Its design quality is on par with the APM and Pixhawk flight controllers. This makes it far easier to program this transmitter. The controller has a nice clean design with no screen, which is great because you don’t need to worry about confusing settings if you are a beginner. If you prefer having a screen then you may want to avoid this controller. The main downside of not having a screen is that you need to connect the controller to the computer if you want to adjust the settings. The i8 has 8 channels, 4 gimbals and 4 for other controls including a 6 position pot on top right. Thanks for reading and please share below! GREAT article! My question is simple. Which transmitter do most quadcopter pilots use? (I only ask because I own a DX6i that I use for my fixed wing aircraft and now that I want to get into quadcopters, I really don’t want to spend another $200 for another transmitter if this one will work. I’ve heard from more than one source that they had problems with losing signal on the Spektrum and the went with another brand anyways (Taranis I thing but one guy had a Turnigy). Yep stay away from Spektrum. The Taranis is BY FAR the most popular transmitter and the one that I would whole heartily recommend. I use a Taranis and I’ve tried out so many different transmitters. Thats why it is number 1 on this list! As a side note – the only good Spektrum controller in my opinion is the DX6i. But I would recommend you get a Taranis over that anyday. If your on a budget then go for the Turnigy 9X. 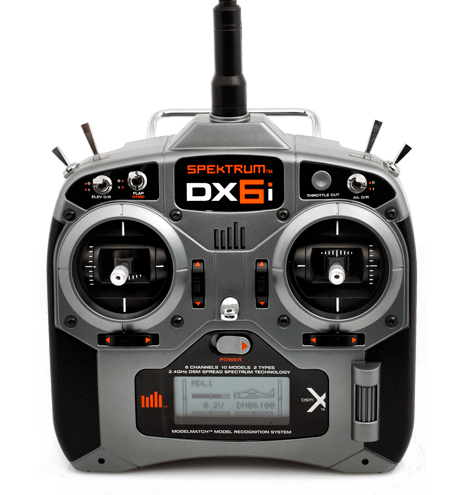 As a side note – the only good Spektrum controller in my opinion is the DX6i. But I would recommend you get a Taranis over that any day. If your on a budget then go for the Turnigy 9X. what about JR transmitters? any thoughts? Cost is a killer. Even the Taranis is only $170! JR starts at what $850 on sale. What people dont realise is with so many vehicles using various flight controllers there is no need for a controller that does anything other than send the control signals because all the mixing and even expo is done in the FC now. You really are paying for features you will never use. I have to fully agree. Been using the Turnigy 9X for about 5-6 years now. I to removed the speaker as soon as I received it! About a year ago I replaced the Gimbals with Taranis Gimbals and have never looked back. So now when I got a Taranis the two feel identical. Its really good and I have to say I think these two radios establish a new baseline for both cost and quality and help a lot of people get into the hobby. No mention of the Taranis QX7? Probably a title of best “value for money” Transmitters would be best here. Good info for value seeking hobbyists but these are certainly not top of the tree radios, I’ve been doing a few repairs for friends with the FRSKY Taranis and I agree, it’s a great feature rich radio but can’t bring myself to buy one after seeing the internals, I would definitely go for am upgraded version of it though, like the Horus 10. Not taking anything away from the Taranis though, value for money, it’s a winner.